Hi, I'm Haseeb! I am a professional Resume writer and designer having 4 years of experience in Resume Writing and Resume Designing. 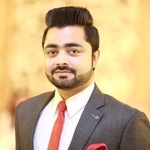 I’m a Professional Social Media Manager...Read moreHi, I'm Haseeb! I am a professional Resume writer and designer having 4 years of experience in Resume Writing and Resume Designing. I’m a Professional Social Media Manager and Designer, Cover Letter Writer, and LinkedIn Profile Writer and Optimization, Content Creator, Content Writer, Article Writer, Video/Photo editor, and Social Media influencer/manager. I am a Certified Resume Writer. So I Write and Design Professional CV / Resume, Cover Letter, and LinkedIn profile. Created hundreds of CV / Resume on different Platform for clients. Client Satisfaction is the main thing for me. Creative, skilled social media expert with two years of experience managing professional social media accounts like Facebook, Twitter, Instagram, LinkedIn, and Google plus. Successfully create must-follow social media feeds to develop an engaged community. - CV / Resume Writing. 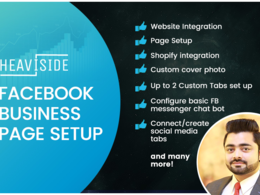 - Facebook Business Page Creation and Optimization. Good work Haseeb, happy with templates for CV and Cover Letters. Thank you so much for helping with my project, most appreciated with all the amendments I requested. Very Good and Professionally Designed my Resume and Cover letter. He is Excellent in Communication. Quality work provided in very less time frame and in a very good budget. Highly Recommended. He is Simply Amazing! Great experience, Communication has been excellent throughout, detailed-oriented, Very Professional in Resume Writing and Cover letter writing and LinkedIn profile. Very good in English Grammar and Spelling. Great and original Resume provided. A cover letter is very professional rich of keyword and according to the job I want to apply for as I explained. My LinkedIn profile is largely improved. He was very helpful in answering any questions that I had. Yes, he did what he was asked to do. I would use him again actually using him again for changing the design of my Resume and Cover letter. I hope he will do well again. He is smart enough to capture what is the customer needs. He was very careful and get me completely update with the work, give him chance and he won't let you down. He is very fast. Thank you so much! And good luck for the job. Haseeb was very good with communication, and very nice to work with. I must be honest and say that I had to correct much of the work, even warning him that if I continue to correct the spelling and grammatical errors, we would have to revise the invoice amount. I would have been happy, paying a little less than what I did, as I feel that the amount of time I spent correcting the work could, have been spent doing the work. Not a big deal it takes 1 2 mints to correct these spell because you are from Gana and using UK English i think you are using US just changing of z to cost me a lot. According to you, I will pay 35 with a good review this is only a trick to pay less. If I send you the invoice of less you should give me a good review you have asked I have a proof but it's my honesty that I did not take a good review. Thank you so much love to work with you again. Amazing! Fast! Very helpful and understanding! Definitely recommend Haseeb as he does is job well! Well done! And thank you so much for your time and consideration. I Need a Nice looking C.V. template for a job interview.